flagpoles, road signs, and solar panels !!! New! Screw foundations for all lands and constructions. For the Beach, Camping, Terrace, Buildings, Everywhere. 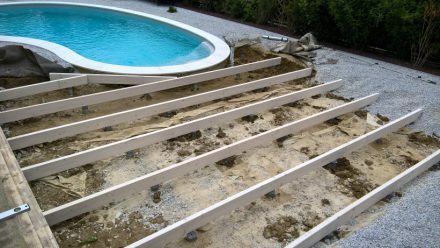 Screw foundations, ecologic, easy to use and cheaper than traditional concrete! No maintenance and very long life. Endless applications, and inexpensive ! To be screwed by hand (until) 800 mm. 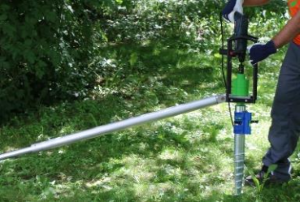 Or with an electric machine (until) 1550 mm, hydrolicly for longer screws, even 20m. 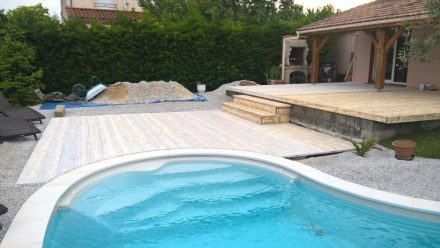 Can also be layed during bad weather, can also be used under water ! This galvanised screw foundation made to biuld terraces is 600mm long and is to be screwed by hand thanks to a key. Covers and extensions are available for this model, 25 or 50cm extensions. 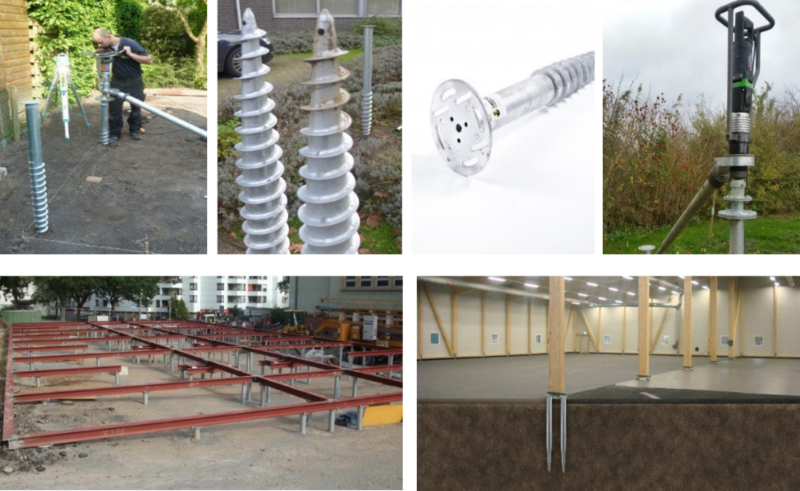 5 different lenghts of screw foundations from 800 to 2000 mm. Extension screws possible for bigger constructions. Top of the screw, 8×200 mm, mounting thread in the center 16mm, accessories available. Screw foundation 800 mm between 500 and 1000 kg per screw. Screw foundation 1050 mm between 1000 and 2000 kg per screw. 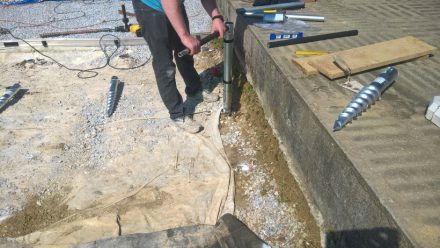 Screw foundation 1250 mm between 1500 and 2300 kg per screw. Screw foundation 1550 mm between 1500 and 2800 kg per screw. 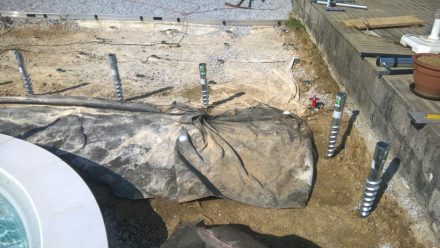 Screw foundation 2050 mm between 2000 and 3200 kg per screw. Screw foundation, 89x140x1300 mm or 89x140x1600, 15.000 kg, more than 15 TONNES !!!! More models and extension models for heavier constructions available on demand. for the more professional screws, we have 2 models. Electrical XE 5.0 machine 5 000 Nm until 1550 mm +/- 25 per day. For bigger constructions and longer screws, hydrolicly. For prices, or a quotation, contact us (click here).